Stop for a break in Calvados and explore the town of Lisieux with its Basilica, its restaurants and its hotels. Nestled in the verdant Pays d'Auge, Lisieux in Normandy is easily accessible by train from Paris. You will able to book a holiday cottage or B&B in the countryside and make the most of your holidays to learn more about the Lisieux Pilgrimage, visit St Thérèse Basilica with its crypt and shop. There is a variety of things to do and see in the Pays d'Auge including visits of cheese-makers in Livarot and Pont-l’Évêque, the Cider Route, walks around Beuvron-en-Auge, one of the most beautiful villages in France, visits of stud farms and racecourses as well as visits of Calvados distilleries set in typical half-timbered chateaux of the Pays d'Auge. Close to Paris, the Pays d'Auge in Normandy is a perfect destination for a weekend break in the countryside with its fine-dining restaurants, its horseback rides and why not fly-fishing parties along the river Touques. 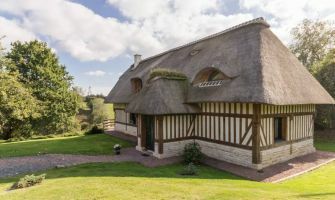 Make the most of your holidays in the Pays d'Auge in Calvados to explore Honfleur, Etretat and Deauville as you will be close to the Côte Fleurie (Flower Coast). For luxury holidays, the Pays d'Auge boasts boutique hotels, chateaux and refined cuisine. Organic food lovers, there are organic farms to visit, organic goat cheese makers to meet. 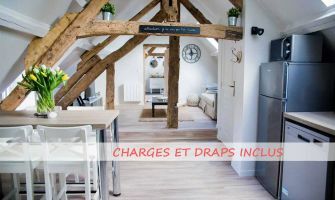 Stay with your family in the Pays d'Auge, go horse riding with the kids or hiking along forest trails, visit the Cerza Zoological park close to Lisieux, go mountain biking or bowling in Lisieux. 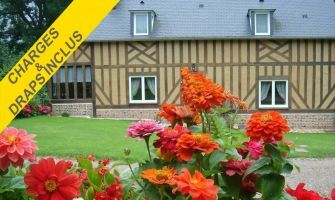 To spend enjoyable holidays in Normandy in the Pays d'Auge, it's easy, just exit the motorway A13 in Dozulé, book a B&B close to Deauville or a self-catering holiday cottage in the countryside, in the middle of apple trees and horses, and sit back! Browse all the main attractions and places to visit in the Pays d'Auge!